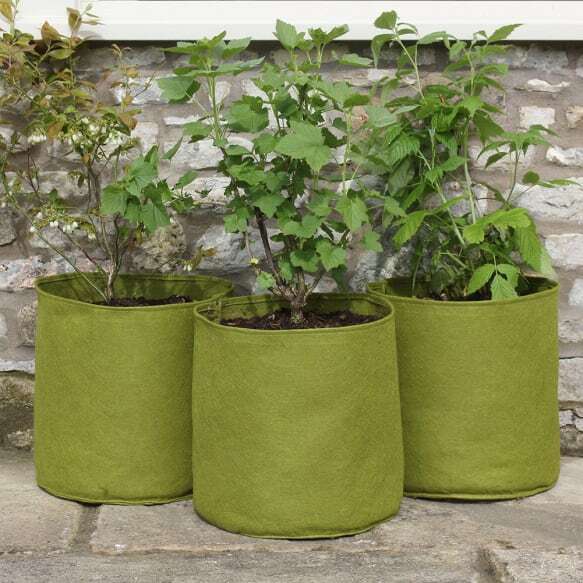 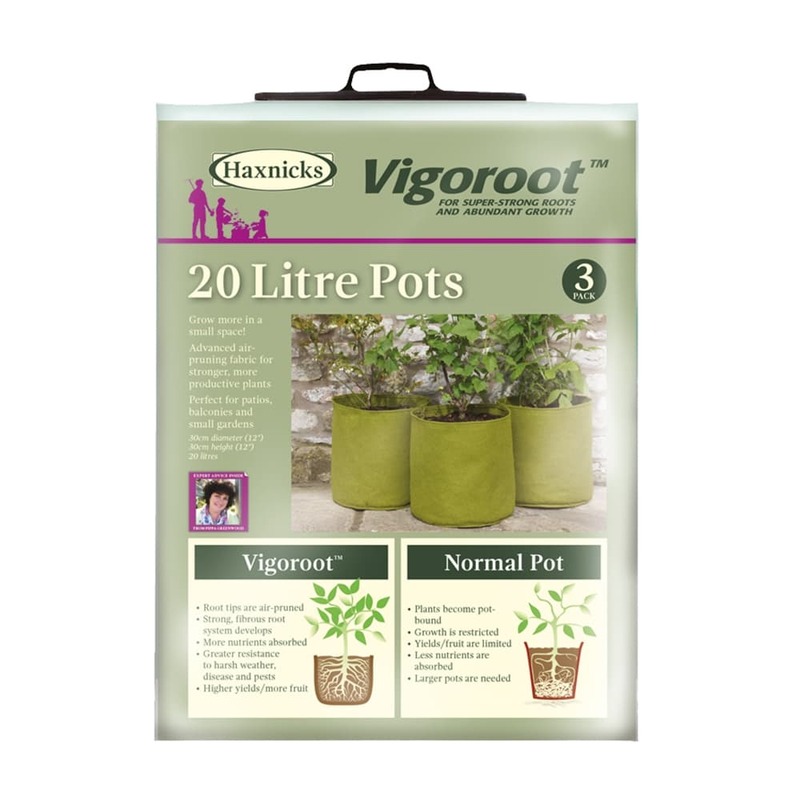 This pack of 3x Vigoroot 20L pots is suitable for growing a wide variety of herbs, flowers and shrubs as well as young trees, fruit trees and bushes, exotics and vegetables. 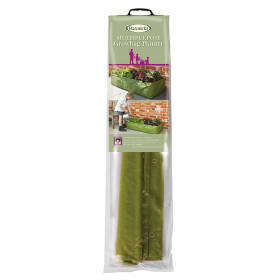 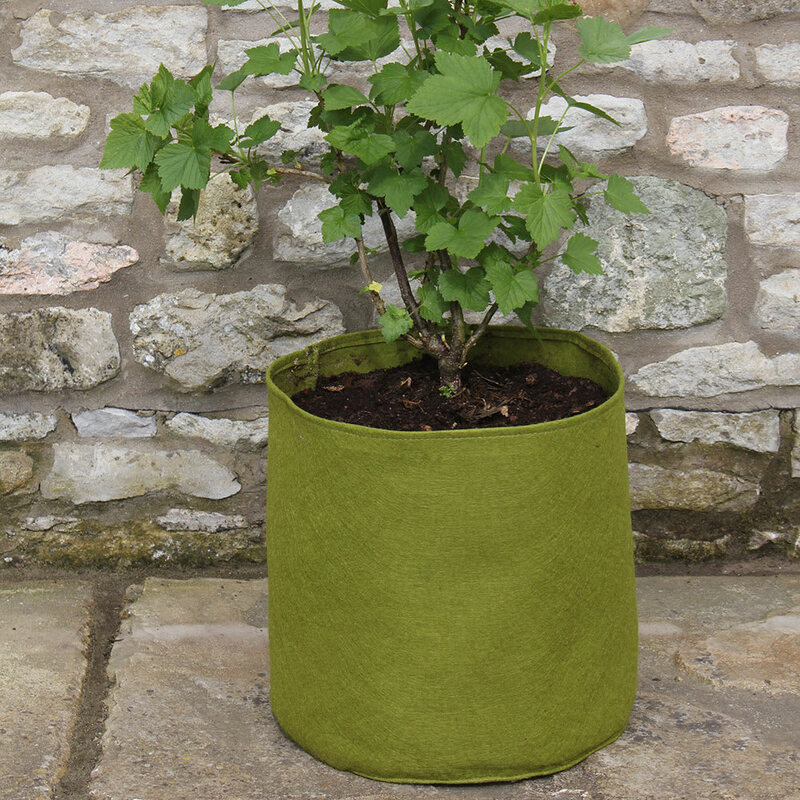 Diameter 30cm (12") Height 30cm (12"). 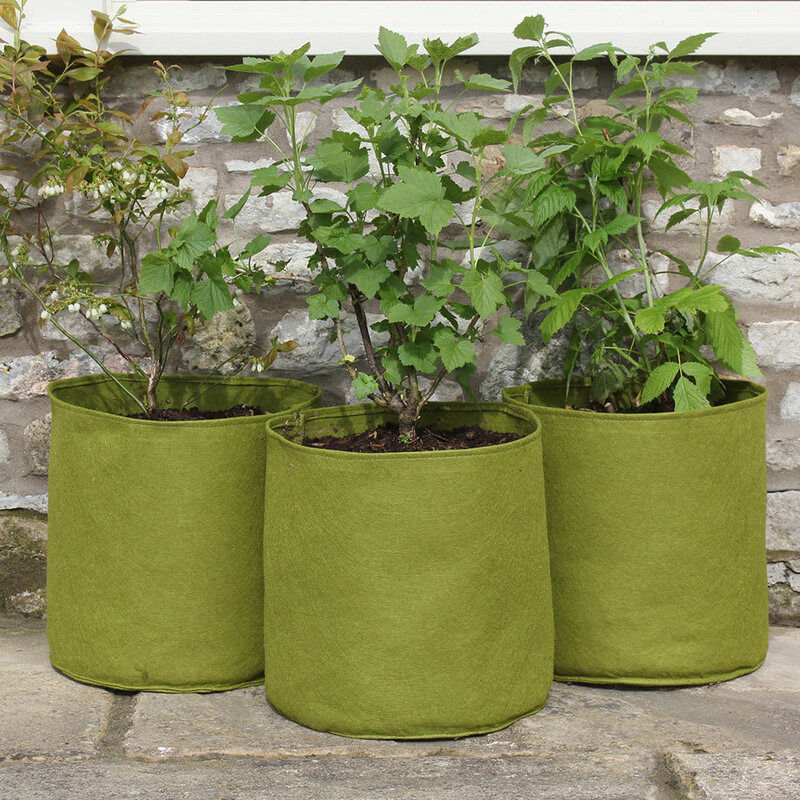 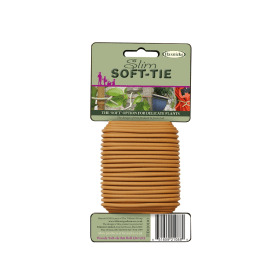 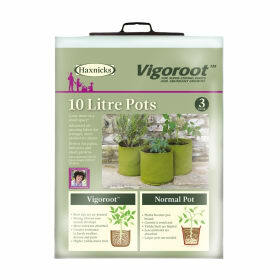 The Vigoroot 20L pots are suitable for a wide variety of herbs, flowers and shrubs as well as young trees, fruit trees and bushes, exotics and vegetables. 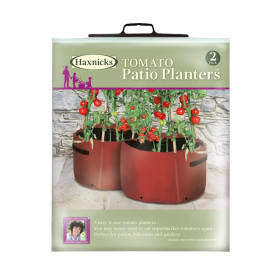 Helpful Haxnicks hint: Super efficient root systems = hungry plants so plants will need to be regularly feed with a suitable fertilizer (particularly if they have been growing in Vigoroot for a year or more).